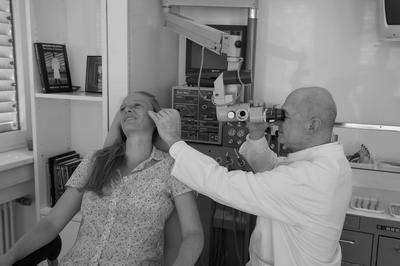 In addition to the diagnosis and therapy of ear, nose and throat problems, Dr Péré's practice is specialised in ear diseases and their treatments. Beside conservative therapy of dizziness, tinnitus and hearing loss, we offer a complete range of microsopic middle ear surgery. Amongst others, we perform surgery of chronic middle ear diseases, surgery against hearing loss, auditory system surgery, implantation of hearing aids. Allergology: comprehensive diagnostics and therapy options.